MamaBreak: Babies R Us Great Trade in Event! 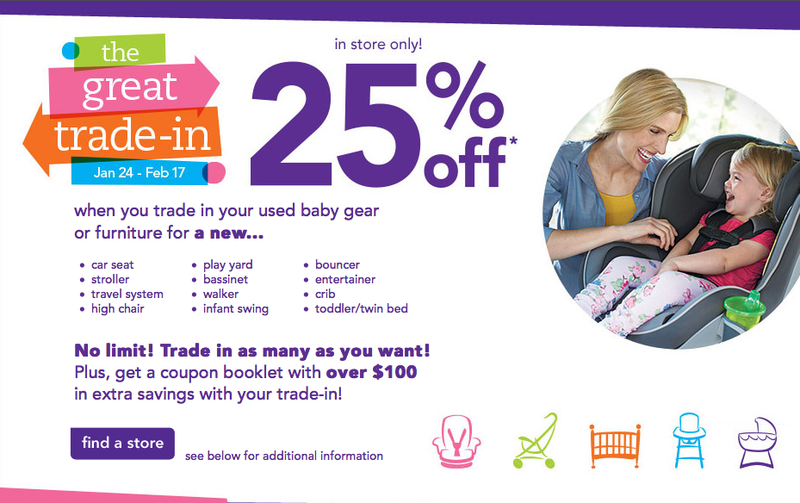 Mamas-- if you have been wondering what to do with your used car seats, the Babies R Us Great Trade in Event is here! You bring your used car seat (or other gear and furniture), and they will give you a coupon for 25% your purchase for new gear! We always bring in our car seats during the event!